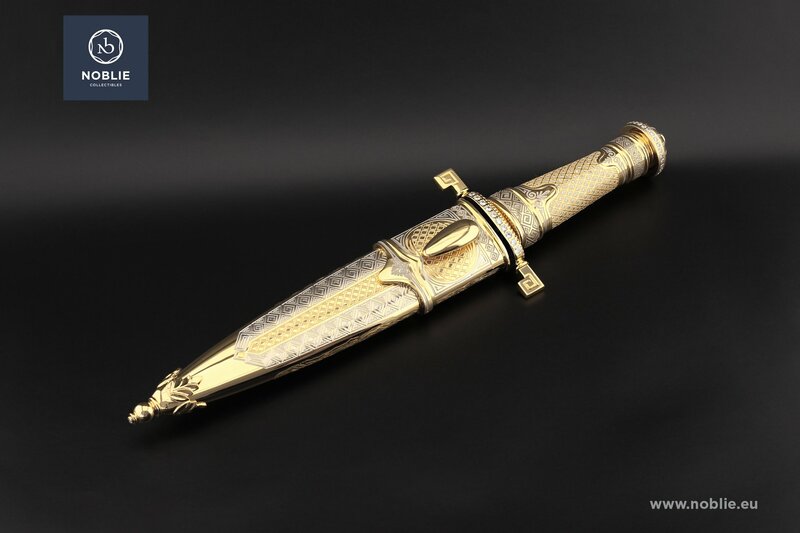 Noblie / Catalogue / Daggers / Dagger ”The mark of the bull"
Dagger ”The mark of the bull"
Produced by traditional methods of metalwork and decoration: forging, etching, polishing, engraving, nickel plating, gold plating, blackening, inlay. 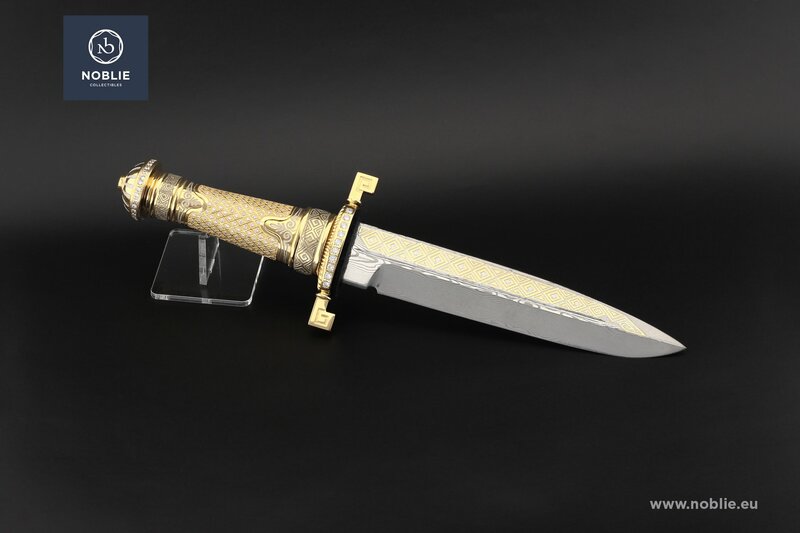 The blade is double edged, two side inclined, made of stainless steel with specific pattern. Gilded decoraive engravings on both sides. The handle is entirely metal made. Brass and gilded parts. Distinguished crossguard with squared and outward turned quillions. Round band with small gems inlaid. 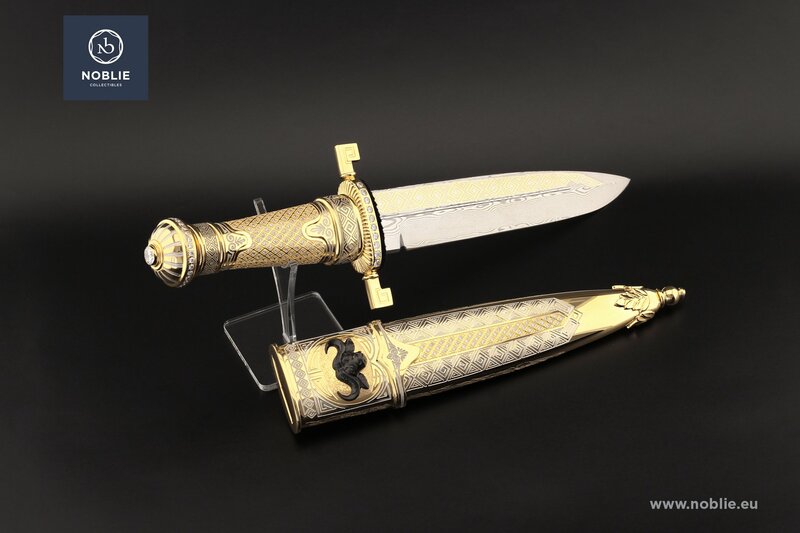 Fine engraved and gems inlaid grip, framed by two engraving decorated rings. Dome shaped pommel. Gem inlaid on the top and small gems ring on the basis. 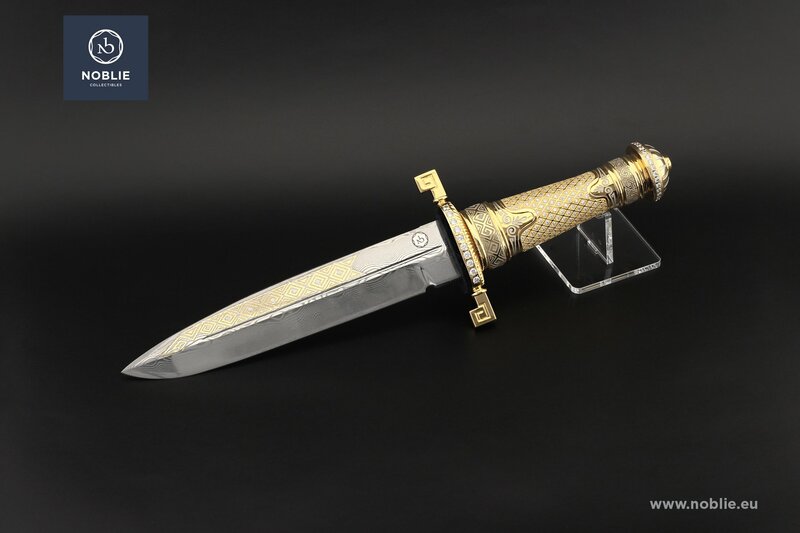 The scabbard is entirely metal forged and rich adorned. Brass made and gilded with decorative locket and tip. Bronze cast of a headf of a bull on the locket and band of small gems on one side of the scabbard. Decorative hanger on the opposite side of the locket. 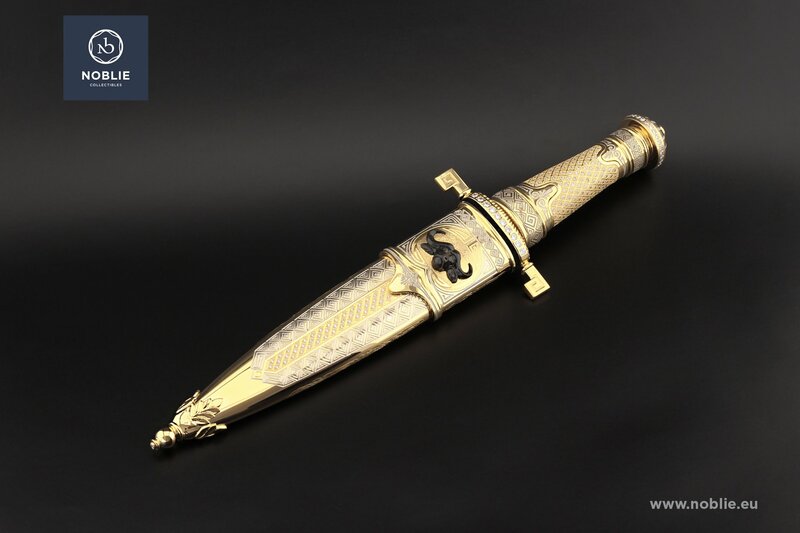 Fine engravings on both sides of the scabbard. 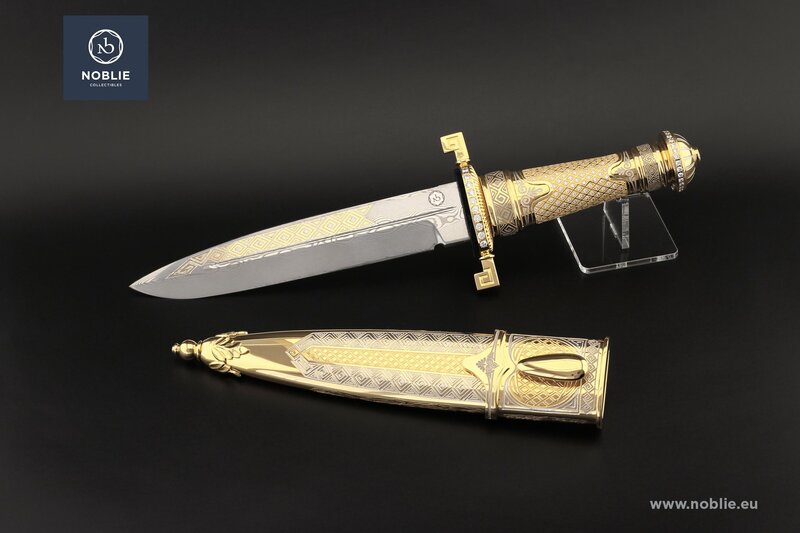 Knife "Follow out the prey"
Dagger ”The sun king. Louis XIV"